"What is happening at the political level and what is being done in space are different things. We continue to work as we always have. It will be a good motive to restore relationships in other areas. 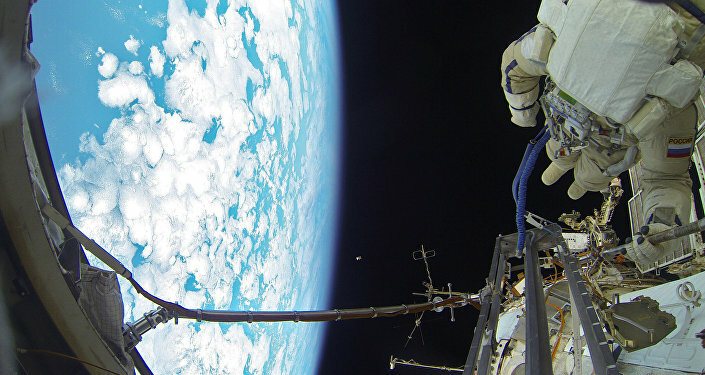 Cosmonautics should set an example for other areas of how people should work together, trust each other and achieve joint results," Krikalev said. He noted that there have been no challenges in working with the United States in the field of space exploration. "We have a great cooperation mechanism. We have been very effective working together, and we should continue to do what we have been doing," Krikalev said, asked what should be done to keep a good and successful US-Russia space cooperation amid the tense and deteriorating relations between the two countries. Krikalev spoke on the sidelines of Yuri's Night, a global event dedicated to space hosted by the US city of Colorado Springs, which will be followed by the official opening of the annual Space Symposium on Monday. Relations between Moscow and Washington have recently reached what US President Donald Trump has called their lowest point. Earlier in April, the United States unveiled new sanctions against Russia over Moscow's alleged global destabilization efforts. Among the individuals and entities affected by the US sanctions were high-ranking officials, industry leaders, and businesses in the defense sector, among others. The tensions continued to escalate over the worsening humanitarian and security situation in Syria and the recent strikes by the United States, the United Kingdom and France in the country. Bilateral relations began deteriorating in 2014 following the crisis in Ukraine and Crimea's reunification with Russia. The reunification was not recognized by Ukraine or the United States and some of its allies, which subsequently imposed economic and political sanctions on Moscow. Russia has said the referendum in Crimea was democratic and conducted in compliance with international law. US-Russia ties became further strained in 2016 when Washington accused Moscow of interfering in the US presidential election. Russia has repeatedly denied accusations of election meddling and Trump has firmly rejected allegations that his campaign team colluded with the Kremlin in any effort to affect the outcome of the vote. More recently, the United States expelled 60 Russian diplomats and closed the Russian Consulate General in Seattle in solidarity with the United Kingdom over the poisoning of former double agent Sergei Skripal and his daughter Yulia in the UK city of Salisbury. Russia has categorically refuted all accusations of involvement in the Skripal poisoning and responded by expelling 60 US diplomats and closing the US Consulate General in St. Petersburg.